Working with O'Fallon Brewery, Jeff Stevens' WellBeing developed a way to brew N/A beer that tastes like the real thing. 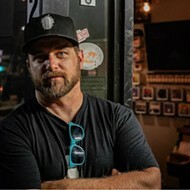 Before he founded WellBeing Brewing Company (wellbeingbrewing.com), Jeff Stevens spent most of his career working in advertising for national liquor brands, a gig that placed him squarely in the club scene. He traveled the world working with beer-and-spirits clients and was always in bars, whether entertaining clients or just being social. There was one huge problem, however. Stevens doesn't drink. "I quit drinking when I was 24, but I was always in a position where I was around people drinking," Stevens explains. "I drank a lot of non-alcoholic beer because it doesn't have caffeine and a lot of sugar — and it was OK. But as the craft beer industry began to really take off, I asked myself why there wasn't any craft non-alcoholic beer. I finally said, 'I'm going to do this. I'm going to figure this out.'" For a non-drinker like Stevens, craft non-alcoholic beer seemed like a no-brainer considering the skyrocketing popularity of the alcohol-filled version. 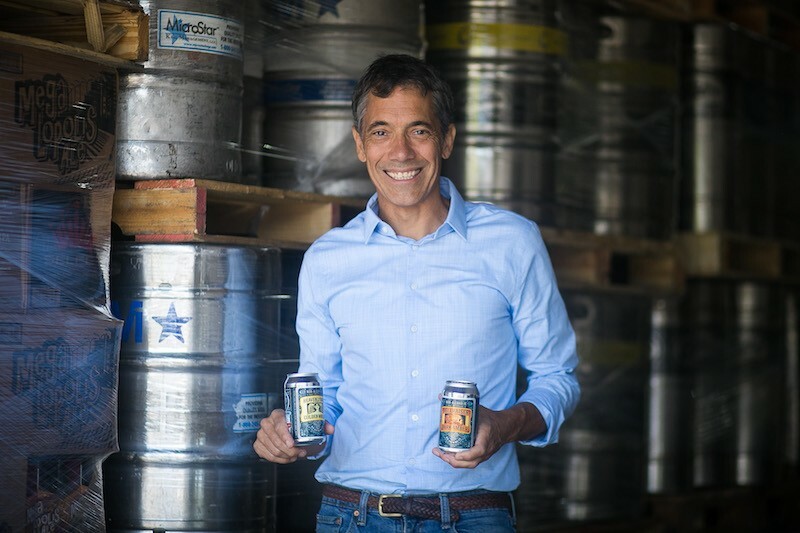 However, as Stevens began to research the void in the market, he came to an obvious realization: People who brew beer like drinking beer that contains alcohol. N/A beer was an afterthought — something they brewed because they felt they had to, not because their hearts were in it. As a consequence, only the big brands did it, not the passionate craft brewers working for the sheer love of it. Stevens, however, loved beer and lamented that his non-drinker status prevented him from enjoying it to its fullest capacity. He quickly found that he was not alone. Not only was the N/A category growing overseas, it was becoming apparent that, even in a beer-obsessed place like St. Louis, there was a need for such a product. "There are so many people who are not drinking — not necessarily all the time, but for a particular moment," Stevens explains. "Maybe they don't want one for this lunch, or even this round. Maybe they want two beers but not four. These people are finding us and telling us how happy they are that we are here." The people Stevens describes are the consumers of WellBeing, the brand he launched in January as a way for people to enjoy the taste of craft beer without the booze. Unlike other methods that remove alcohol from beer by stopping fermentation and boiling it off, WellBeing employs a high-tech method using equipment from Munich that eliminates the alcohol at room temperature after the beer is fully fermented. This results in non-alcoholic beer that tastes fully brewed — because it is. "If you taste a traditional non-alcoholic beer, it tastes like a watered-down lager or super sweet because the sugar doesn't ferment. It just tastes off," Stevens explains. "Ours starts out as full-alcohol beer that could be packaged as such, but instead, we remove the alcohol at the very end. It has the right body and tastes fully brewed." Though WellBeing is Stevens' brainchild, he relies on the people at O'Fallon Brewery, in particular owner Jim Gorczyca and head brewer Brian Owens, to bring his vision to life. Currently, they are producing two beers for WellBeing: the Heavenly Body golden wheat and the dark amber Hellraiser, a beer whose name embodies what Stevens wants to do with his brand. "The thing about not drinking is that you are worried you are killing somebody's buzz and feel bad," he says. "But then they feel bad because they are worried they shouldn't be drinking in front of you. Hellraiser says, 'Hey, I'm not drinking, but I am still ready to party. We can go pool-hopping or whatever. I'm ready to blow off some steam, and if you want to get silly, I am here to get silly. I can just drive you home.'" Stevens took a break from the beer business to share his thoughts on the St. Louis food-and-beverage scene, his passion for green and red chiles, and the places you will see him cutting loose after work — with an N/A beer in hand, of course. A walk in the park with my dog, Salvador. Lots more non-alcoholic drink choices on menus all over town! Mocktail menus and WellBeing N/A beer. Proper green and/or red chile for smothering burritos. Hit me up if you have some! Pierce and Lona from Lona’s Lil Eats. 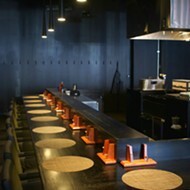 Whoever is behind BLK MKT Eats! We punch way above our weight. FD&C [food, drug and cosmetic colors] anything. Basso, L'Acadiane, Pop's Blue Moon, the Monocle. Ghirardelli dark-chocolate chips, straight out of the bag. A pork green-chile-smothered burrito, of course.